Doctors often can't determine what causes appendicitis. Appendicitis is the inflammation of the appendix. The causes of appendicitis are not always easy to determine. One of the possible causes, however, is a piece of food or other matter that obstructs the opening between the appendix and the colon. 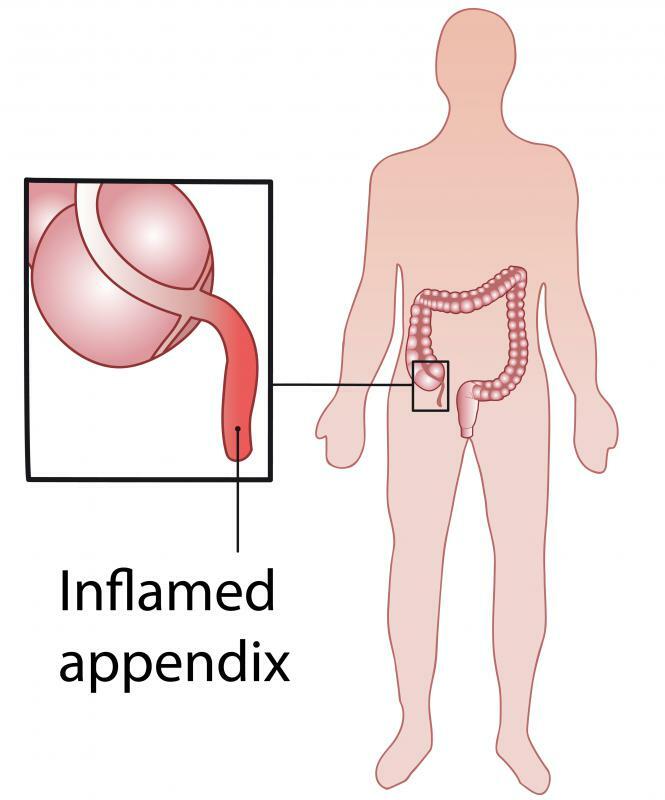 An individual may also suffer from the condition after an infection that causes the appendix to become inflamed. These issues, as well as others that aren’t always clear, can cause the appendix to accumulate pus and become inflamed. A patient may suffer from increasing pain when he has appendicitis, and in some cases, the condition may prove deadly. Appendicitis is a condition that occurs when the appendix, a pouch that is attached to the colon, becomes inflamed. The appendix doesn’t seem to have a purpose in the human body, and an individual can still lead a healthy life after his appendix has been removed. Despite the fact that this pouch of tissue doesn’t seem to play an important role in the body, it can cause a great deal of pain if it becomes inflamed. Likewise, if an individual’s appendix ruptures, it can spill intestinal gases into the abdominal cavity and cause a life-threatening situation. Doctors are not always able to pinpoint the exact causes of appendicitis. In some cases, however, it may result from an obstruction in the colon. For example, a piece of food or part of a bowel movement may block the passage from the appendix to the rest of the colon. Bacteria that are normally present in the body may then overgrow and attack the wall of this pouch. When this occurs, a person develops the pain, pus, and inflammation that is typical of appendicitis. Infection also may be one of the causes of appendicitis. For example, an individual may have an infection that develops in another area that eventually goes on to affect the appendix as well. This may happen, for example, after an individual has an infection that affects his stomach and intestines. In such case, bacteria that caused the infection may invade the tissue of the appendix and cause it to become inflamed. No matter what the causes of appendicitis, the treatment is often the same: surgery. Doctors remove the appendix to relieve the current symptoms and ensure that the patient will not have to struggle with them again. Sometimes surgeons remove the appendix right away while, in other cases, the surgery is delayed until the infection is brought under control. How Do Doctors Diagnose Appendicitis? What Are the Different Types of Appendicitis Tests?